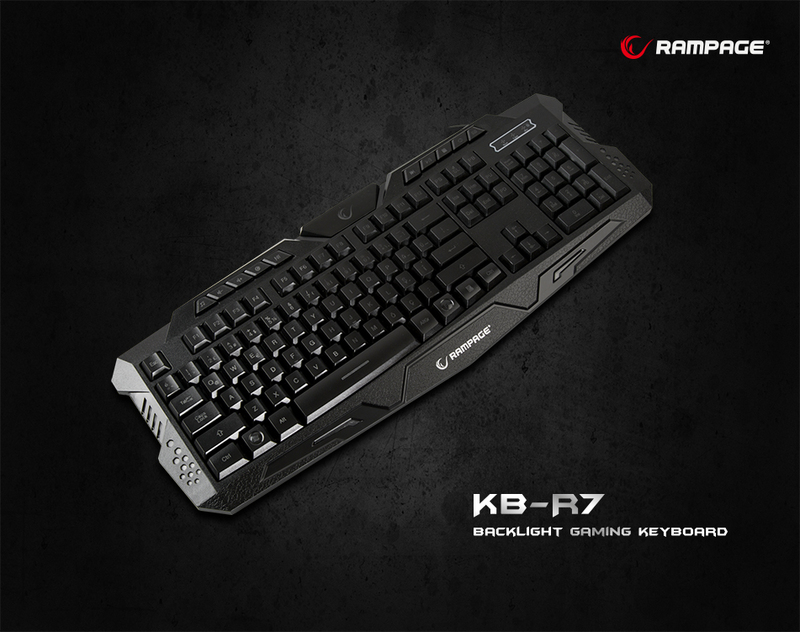 Everest Rampage KB-R7 Black USB illuminated Q Gaming Keyboard; The Everest Rampage, which has signed many successful accessories in the computer world, does not neglect the players who are growing day by day. Company's keyboard called KB-R7 is designed with elegance that will appeal to you with 3 different LED lighting and similar features. 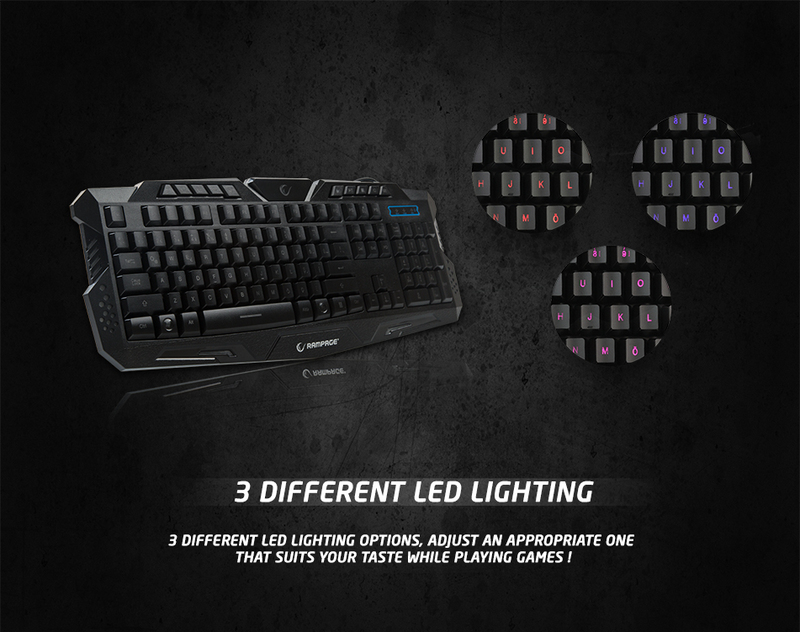 Everest Rampage KB-R7 Black USB illuminated Q Gaming Keyboard; 3 Different LED lighting options make it easy to play at night and dim environments. You can increase and decrease the light intensity of the led illumination according to your b. By using the function key, you can easily select the best color option that suits you. 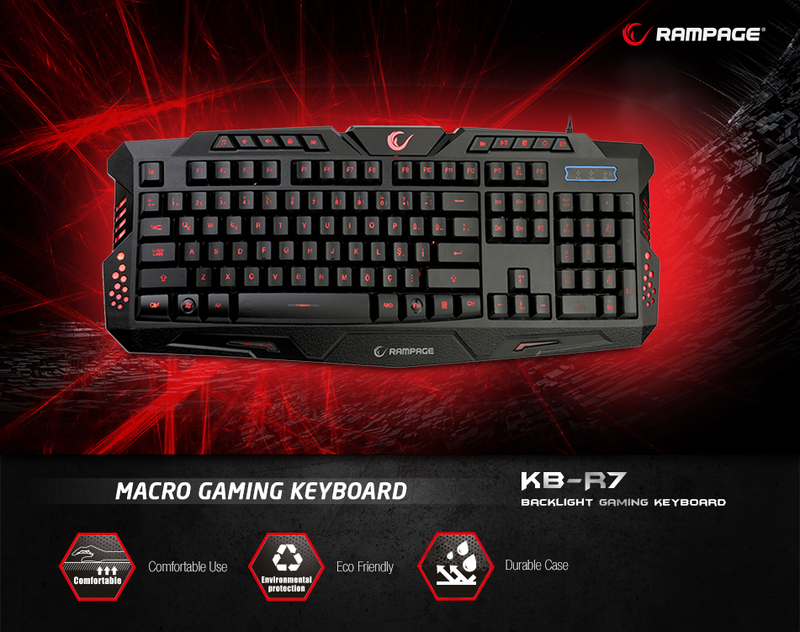 Everest Rampage KB-R7 Black USB illuminated Q Gaming Keyboard; Equipped with superior features, the KB-R7 is a gaming keyboard that offers superior performance. Produced by using a solid material, this gaming keyboard is one step ahead of its competitors with its durable construction and robustness! 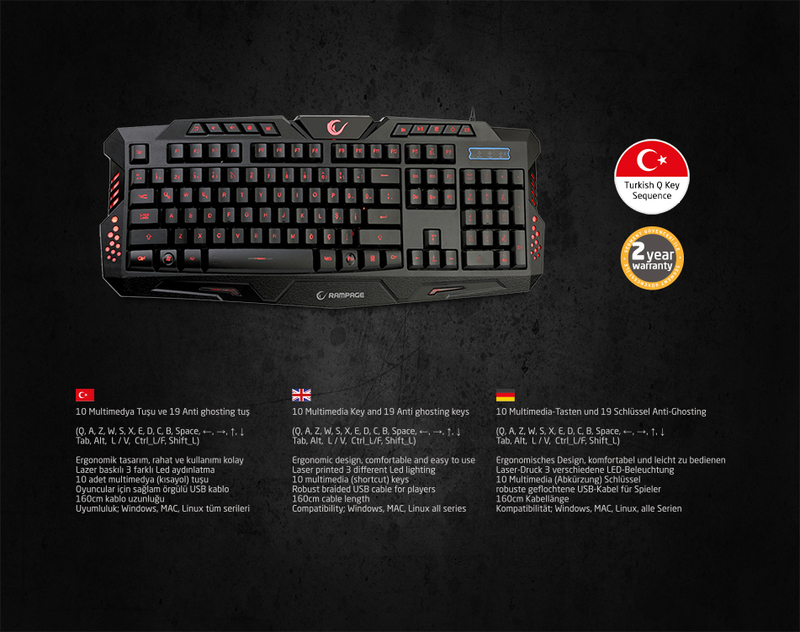 It has Turkish key sequence and 2-year guarantee is available. 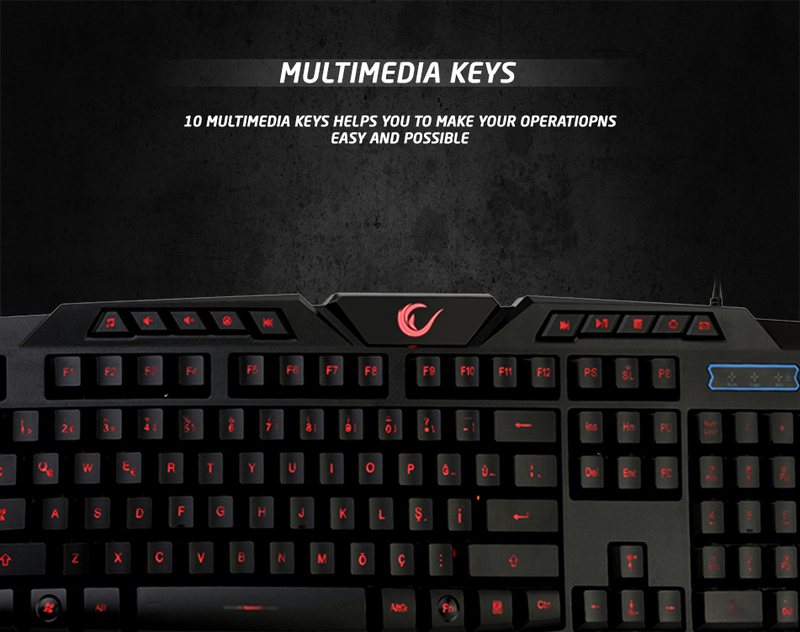 Everest Rampage KB-R7 Black USB illuminated Q Gaming Keyboard; You can easily perform your actions with a single button With 10 multimedia keys and you will win on this occasion.